The Museum of the Southern Jewish Experience's previous location in Utica, Miss. The Museum of the Southern Jewish Experience, which closed its location on the campus of the Henry S. Jacobs Camp in Utica six years ago, is closer to having a new home, and just named an executive director. On July 28, Rusty Palmer, vice chair of the museum task force, will speak at Temple Sinai in New Orleans about plans for the new museum, which will be located in New Orleans. The service is being billed as a way to “be among the first to hear details” about the new location, and to give input about the museum. Hoffman was a camper at Jacobs Camp and is a Tulane alumnus. After graduating, he was the first research and curatorial intern at the then-new MSJE in Utica. While finishing his Master’s degree at Tulane, he published research on several Southern Jewish communities. After working at the New Orleans Museum of Art and Louisiana State Museum, he joined the National World War II Museum, which was then the D-Day Museum, as one of the founding staff members in 1998. Most recently, he has been the director of education at the National World War II Museum, having established a nationally-recognized program with a department budget of over $1 million annually. Tanenbaum said Hoffman is “known throughout the South and in history circles,” and will start by establishing the new museum’s social media and web presence. The museum originally evolved out of necessity. 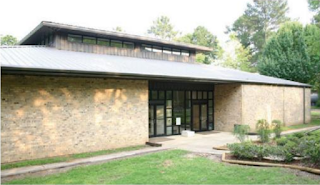 Shortly after Jacobs Camp opened, Anshe Chesed in Vicksburg was downsizing into a new building, and offered its old ark to the camp before the old building was demolished. Other artifacts from congregations in the region that were closing or downsizing soon followed, and in the 1980s, Camp Director Macy Hart started working on a place to house all of the Judaica, leading to the formation of the museum. The Vicksburg ark and pulpit items from other congregations were housed in the central room, which became the camp’s space for Shabbat services. In 1989, the museum started working with photographer Bill Aron on a series of road trips to document the Jewish South, first in Mississippi, Arkansas, Louisiana and west Tennessee. Alabama and South Carolina were added in later phases. Aron’s “Shalom Y’all: Images of Jewish Life in the American South” became a large part of the museum’s displays, and also became a traveling exhibition. “Alsace to America: Discovering a Southern Jewish Heritage” opened in Jackson in 1998, then became part of MSJE’s main exhibition. 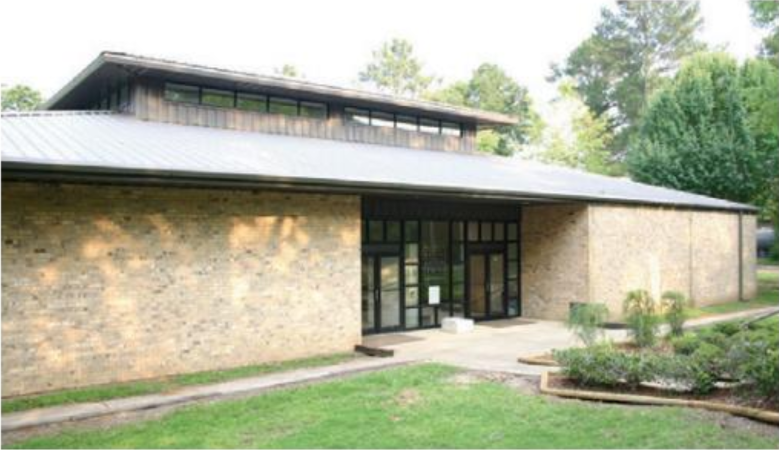 A version is now at Temple B’nai Israel in Natchez, which is a satellite location for the museum. In 2000, the museum gave birth to a larger organization, the Goldring/Woldenberg Institute of Southern Jewish Life. Hart soon left as camp director to lead the new organization in Jackson, and the museum became part of the Institute. Around 2009, camp leadership met with the ISJL to see about having the museum building for a camp fine arts center. Tanenbaum, who chaired ISJL for seven years, said they agreed, and the museum had never been that successful as a tourist venue because of its location so far off the beaten path, in a camp facility where access was often difficult. The museum was “put into mothballs” until a new location could be secured, Tanenbaum said. After a few years of exploration, New Orleans emerged as the leading candidate, and the task force has met with a wide range of civic and Jewish community leaders. Though plans are progressing, such items as a location, capital campaign goal and timetable have yet to be worked out. Much more information will be forthcoming in the next couple of months, Tanenbaum said, but being invited to speak at Sinai to the three local Reform congregations in one setting was an opportunity not to pass up. For design and storytelling, the museum is consulting with Patrick Gallagher of Gallagher and Associates in Washington. Among his previous projects are the National World War II Museum in New Orleans, the College Football Hall of Fame in Atlanta, the National Museum of American Jewish History in Philadelphia, and the Grammy Museum in Cleveland, Miss. Gallagher grew up Catholic in Chicago but converted to Judaism 30 years ago. That story flavored his work with The Museum of the Jewish People at Beit Hatfutsot in Tel Aviv. The new museum will maintain an affiliation with ISJL, but will be a separate legal entity. “We’re really excited about this,” Tanenbaum said, noting that New Orleans has 10 million tourists annually. The July 28 service will be at 6:15 p.m.